Inclusive Wedding Fair. October 21, 2018 from 11am-4pm at The Stage. Come and gather off beat and unique ideas for planning your special day from local vendors and service providers. 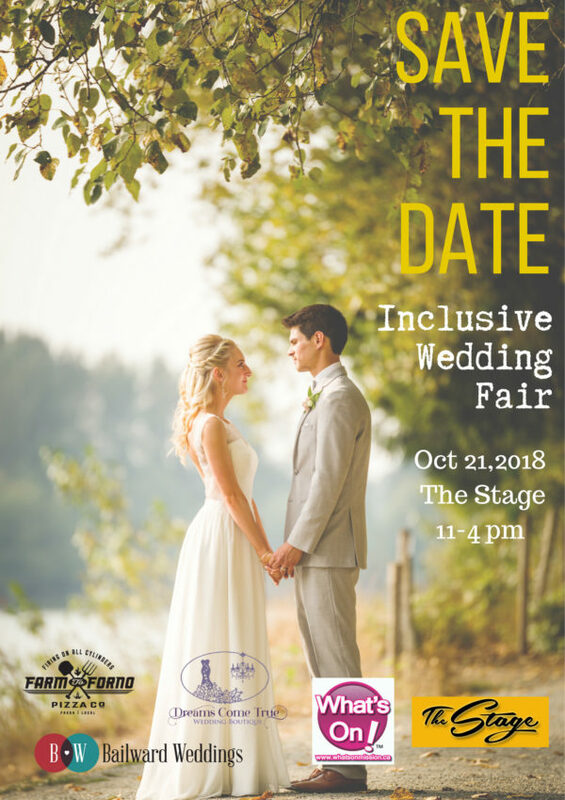 Inclusive Wedding Fashion Show, Demonstrations, Door prizes and more throughout the fair. WIN your wedding! Submit your love story and why you want to win your wedding to savethedatecontest@outlook.com by October 14, 2018 for your chance to win a wedding gown from Dreams Come True Wedding Boutique, Venue rental from The Stage, Catering voucher from Farm to Forno, and a photography package from Bailward Weddings.